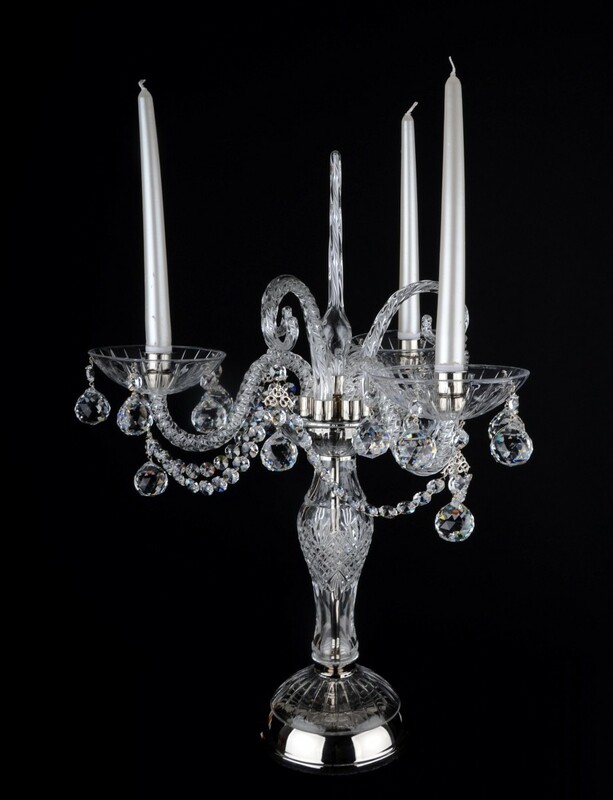 The silver candlestick with 3 glass arms decorated with crystal balls and the design glass horns. 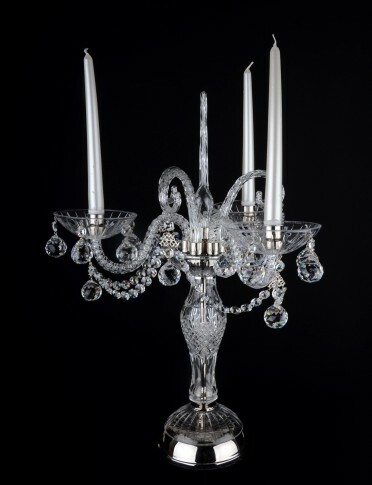 The silver brass candlestick with 3 twisted glass arms and glass horns. Dimensions (W x H): 56 x 56 cm/ 22.9"x22.9"
The candlestick can be converted into an electric table lamp. 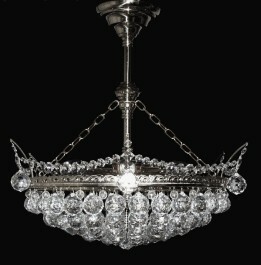 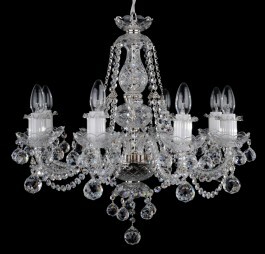 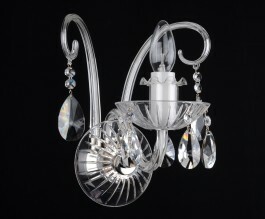 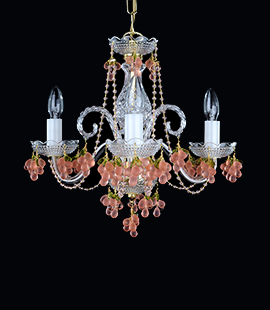 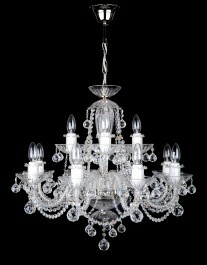 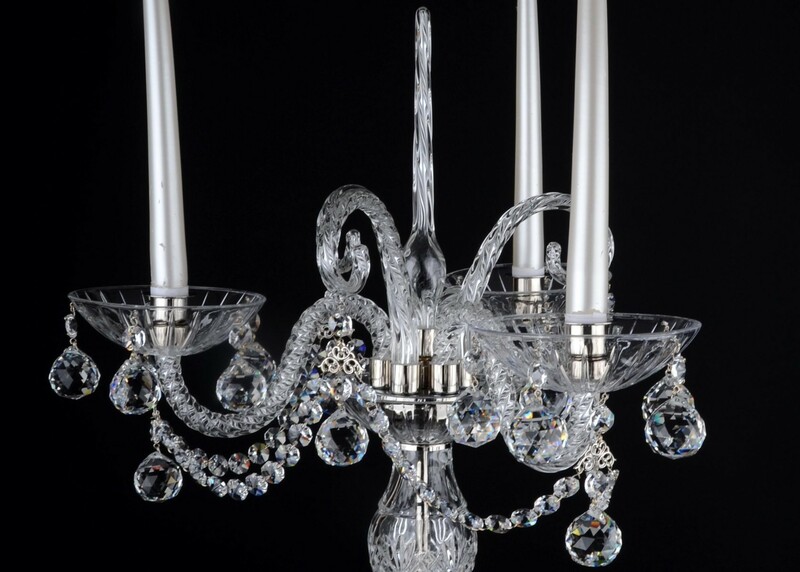 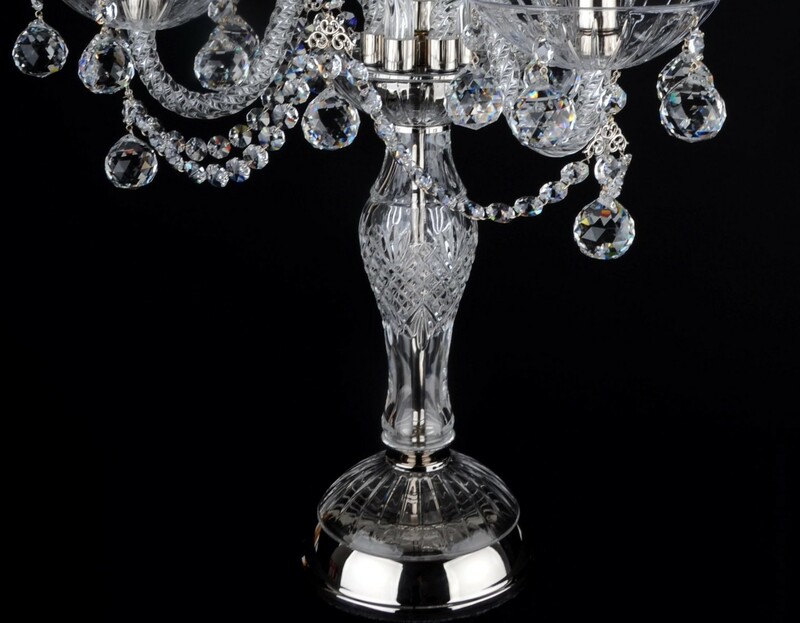 6 bulbs silver basket crystal chandelier with cut crystal balls II.